My In-Laws visited us and we were touring the Niagara pilgrimage on August 4th weekend for two days. We had a good time driving the 7 hrs journey to Buffalo, NY from my place. We enjoyed it despite of the crouching 90 degrees heat I was sun-burned in spite of a layer of SPF-55. I know most of our friends having their parents/in-laws are touring Niagara too this summer! received the airmail packet from Australia, thrilling! I was so overwhelmed and my joy knew no boundaries of the thought that I am gonna taste those Australian Tim-Tams la la la laa. 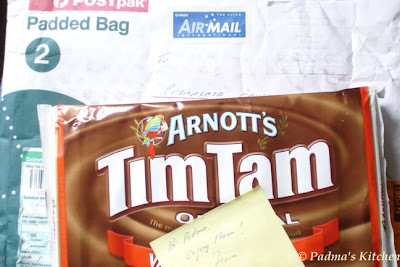 Yesterday only I received Tim Tam pack air mailed by Fiona from Australia, Thank you Fiona! And I am more than happy to share them (photos only) with you all. I know that sounds crazy of me to start a separate post for this. I was so thrilled when I saw Sandeepa passing me the rocking blogger award (my first time), though I am not sure that I deserve this, being only 1 month old in the foodie blog-o-rama. Dear friends congratulations and you all rock !!!!! please ignore this if you have already received the award. Wow, thanks. My students will probably be very amused if I tell them I have been deemed to be "rocking." I do appreciate it. blog age doesn't matter and so doesn't time for how long have you been around, what really matters is the Persona! you really rock Kalyn! Hey Jeena, you are welcome my dear! 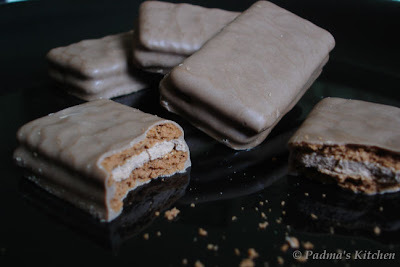 Thos Tim Tams look great Padma, would love to take a bite. oooh those Tim Tams looks so gooooood!!! 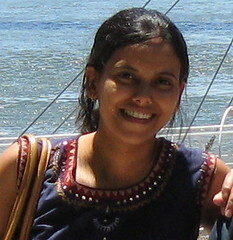 Thanks ever so much for the Rockin' Blogger Award, Padma. 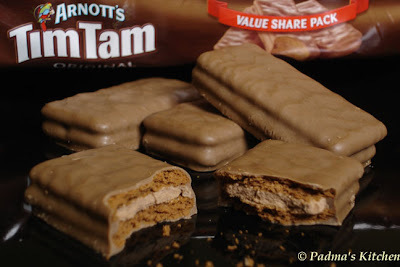 Your Tim-Tams look tempting; methinks I'll ask my Aussie sister to bring me a packet when she comes here on Oct 1. Thank you for the lovely award, Padma! You are so sweet! Sandeepa you are most welcome to taste it :) hurry up else my DH will finish them! Thank you Manasi for your lovely comments..
Nupur, you are rocking dear! even I felt that it has the cutest name..
Hi Padma, Thanks a million for the award. It is really nice of you to choose me for the award. Even I am new too this blooging world. 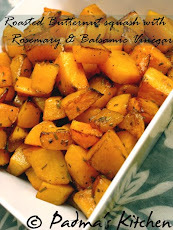 I am happy that everyone likes my recipe. 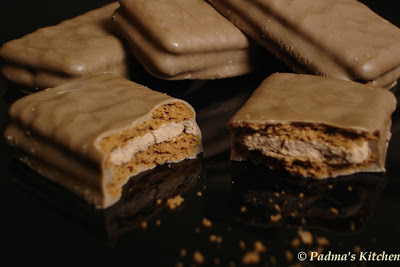 Dear Athika, common you deserve to be the rocking star and your blog says it all..
Those tim-tams look so cute! hey, Thanks for the Tim Tams;) They were great. Thanks to Wokandspoon too!! congrats on the award! TBC, you rock girl...and congrats! Sharmi, Fiona will be glad that there is another girl tasting her tim-tams, glad u liked it! congrats for the timtoms and for the award too!